Life aboard a sailing ship was anything but comfortable. Seamen lived in cramped and filthy quarters. Rats gnawed through anything, including a ship’s hull. Food spoiled or became infested, and fresh water turned foul. One staple of most ships was hard tack, which seaman often ate in the dark to avoid seeing the weevils that infested the square biscuits. To soften hard tack and make it more palatable, cooks might soak and boil them in rum and brown sugar to create a porridge-like mixture. Pirates restocked their food supplies by stealing from other ships’ stores. In the Caribbean, they also caught turtle for fresh meat. Sea turtles were easily snared on land and were kept alive in the ship’s hold until needed. Their soft-shelled eggs were a popular delicacy. Pirates’ recountings of their adventures also mention fishing for dolphins, albacore tuna, and other varieties of fish. One popular dish was salmagundi or Solomon Grundy. Similar to a chef salad, it contained marinated bits of fish, turtle, and meat combined with herbs, palm hearts, spiced wine, and oil. This concoction was then served with hard-boiled eggs, pickled onions, cabbage, grapes, and olives. Pirates also ate yams, plantains, pineapples, papayas, and other fruits and vegetables indigenous to the tropics. They drank bombo or bumboo, a mixture of rum, water, sugar, and nutmeg. Rumfustian was another popular drink that blended raw eggs with sugar, sherry, gin, and beer. Pirates also enjoyed beer, sherry, brandy, and port. When food was scarce, they resorted to more desperate measures to stay alive. Charlotte de Berry’s crew ran out of food and purportedly ate two slaves and her husband to sustain them. 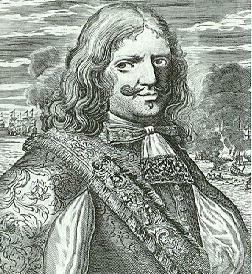 In 1670, Sir Henry Morgan’s crew ate their leather satchels. They recommended cutting the leather into strips. After soaking these, they tenderized them by beating and rubbing the leather with stones. They scraped off the hair, then roasted or grilled the strips before cutting them into bite-size pieces. The recipe suggested serving them with a lot of water. Among artifacts uncovered in shipwrecks, pirate havens, and other areas frequented by pirates, archeologists have found glass wine and brandy bottles, earthenware beer bottles, pewter plates and tankards, and silverware, especially knives and spoons. Forks were a symbol of wealth and the few found may have been part of pirate treasure. Pirates, however, preferred to eat with their fingers. Some pirate ships had galleys and some, like Captain Kidd’s Adventure Galley, had none. Instead, food was cooked in a cauldron with a brick hearth that operated only during periods of calm weather. It was located far from the magazine to prevent accidental igniting of the gunpowder. Between the excitement of sighting sail and weathering dangerous storms, pirates followed the same dull routine that numbed seamen’s minds. Much of their time was occupied with the care and maintenance of their ships. They patched sails using pickers (used to make small holes in canvas), seam rubbers, needles, and sailmaker’s palms (provided protection for the hand). They spliced ropes with a fid. To keep the ship watertight, they hacked old oakum from seams using a jerry iron, drove new oakum into the seams with a caulking iron, and then ladled hot pitch into the seams to seal them tight. Sometimes they sought the shelter of hidden coves to careen their ships to remove the worms that bored tiny holes in the hull, producing leaks, and to scrape off barnacles that slowed the ship. Pirates relaxed like other seamen. They played cards or rolled dice, although most articles of agreement forbade gambling on board ships to prevent arguments that divided the crew or proved fatal to one or more participants. At sea they chewed tobacco rather than smoked because of the ever-present threat of fire, a serious fear aboard wooden ships. They carved, sang, and danced jigs. When ashore, pirates squandered their booty on drink, women, and games of chance. They smoked clay pipes. Tavern keepers served them beer and wine in black jacks, leather tankards coated with pitch, or pewter tankards. One popular pastime amongst pirates was the mock trial. Each man played a part be it jailer, lawyer, judge, juror, or hangman. This sham court arrested, tried, convicted, and “carried out” the sentence to the amusement of all. No matter where they sailed, pirates frequented friendly ports. One of the most infamous was Port Royal. God-fearing people thought it the most wicked of cities and believed that the earthquake that brought about its destruction in 1692 was payment for its sinfulness and debauchery. Tortuga and Madagascar also welcomed pirates. While at sea, they usually wore one outfit until the garments were no better than rags. Seamen favored fearnoughts (short jackets of heavy blue or gray cloth) or canvas coats (in foul weather), red or blue waistcoats, plain or checked shirts (often blue and white), and petticoat breeches (canvas trousers cut a few inches above one’s ankles). These were often coated with tar to make them waterproof and to deflect sword thrusts. Shoes were worn on shore, but rarely aboard a ship. To protect themselves from the hot sun, they wore knotted scarves, tricorn hats, or various styles of caps. The Ilanun of Borneo, the most feared pirates in the waters around Southeast Asia during the mid 1800s, wore sarongs and embroidered belts. Most men who chose to go to sea did so at a young age. Life at sea required stamina and dexterity that older men no longer possessed. Seamen hauled on wet ropes during the day and at night. Aloft, they handled heavy sails in calm or stormy weather. They manned pumps for hours on end. Their damp and dark quarters smelled of bilgewater, tar, and unwashed bodies as well as the assorted livestock that provided them with fresh meat. They spent weeks, months, and sometimes years at sea far from home. They weathered storms, attempted to steer clear of uncharted shoals, and worried about having sufficient food and water until they made their next port. Some who crewed naval vessels did so against their wishes. A common practice, especially in Britain, was to fill crews short-handed from chronic desertion or insufficient skilled seamen by pressing landsmen into service. While in port, these men were shackled to prevent their escape. Seamen, whether pressed or not, found life aboard ships of the Royal Navy deplorable. Wages were low. Corruption impacted the quantity and quality of food served them. Mistakes or infractions were countered with violent discipline. Poor ventilation and cramped quarters ensured that epidemics swept through the crew, killing many. If such was the life endured by seamen, why did they risk their lives further by turning pirate? Until 1856 when most countries signed the Declaration of Paris, governments supplemented their navies by issuing letters of marque. With these documents, captains and their crews “legally” plundered enemy shipping. The profits realized by such ventures encouraged others to become privateers. The problem was that when the war ended, those same governments had no use for the privateers, who often found themselves unemployed. Piracy offered them a choice between starvation, beggaring, or thievery and possible riches beyond their wildest dreams, which outweighed the threat of execution if caught and a short life-expectancy rate. Another aspect to the financial rewards was that pirates owned a share of the spoils they captured. Privateers turned over their booty to the governments that licensed them. Although they received a share after the goods were sold, that money was either a long time in coming or a paltry amount when compared to the risk taken. Treasure – Latin American gold, Bolivian silver, and Asian silks, spices, and gold – lured many to turn pirate. Some saw piracy as a means of escaping the grueling work and terrible conditions that seamen endured. In addition to the filth, cramped quarters, and insufficient or spoiled food and fresh water, dampness permeated their lives. Each new port exposed them to new diseases that often swept through the crew because they ate, slept, and worked in close quarters. Disease – including scurvy, dysentery, tuberculosis, typhus, and smallpox – killed half of all seamen. Other men wished to escape the cruelties inflicted on them for minor and major infractions. Piracy promised them a better way of life, the chance to make their fortunes, and the opportunity to leave the drudgery of life on land. As pirates, all men were equal. No longer did one man outrank another. The crews chose their captains, and signed articles of agreement to ensure that everyone earned a share of any prize taken. Such freedom was unavailable to men who remained on the right side of the law. In some parts of the world, though, people became pirates out of economic necessity. Fishing and boating were their means of livelihood. If the fishing dried up, they needed to find another way to earn enough money to live, and so resorted to smuggling and/or piracy. This has been true for centuries along the southeast coast of China. It also happened to the buccaneers and privateers who worked in the logwood industry of Honduras. After the Peace of Utrecht, the Spaniards destroyed their livelihood, leaving them to starve or join one of the pirate crews that sailed the Caribbean. For many centuries, Europe was plagued by wars interspersed with times of peace. When at war, nations recruited men to serve in their navies. When peace came, these same men were forced to find other employment or die of starvation. Those who knew only the trade of sailing often turned to piracy. Such was the case following the War of the Spanish Succession. Prior to the cessation of hostilities, the Royal Navy employed 53,000 men. With peace at hand, they dismissed 40,000 of those seamen. At about this same time (1715-1725), there was an upsurge in piracy along coasts bordering the Atlantic Ocean. Most English-speaking pirates came from the Royal Navy, merchant ships, and privateers. Between 1716 and 1718 there were 1,800-2,400 pirates. By 1726 those numbers dropped to 1,000-1,500 pirates. That’s not to say all men who turned to piracy did so willingly. When pirates captured a ship, they either killed those lacking the seamanship skills or put them ashore. Able-bodied seamen, however, especially those who possessed a specialized skill (surgeons, carpenters, coopers, musicians) had no such option. 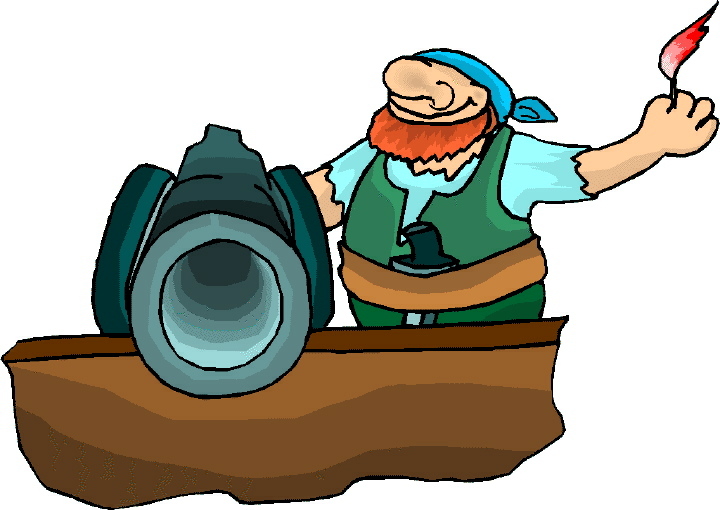 Pirate crews always needed men familiar with ships and the sea, and so forced them to join in their nefarious trade. During the Golden Age of Piracy, many pirates who sailed in Caribbean waters were forced men. Whether willing or not, pirates hailed from many nations. While most were illiterate and came from poor families, some – like Stede Bonnet and Dr. John Hincher – were educated gentlemen. 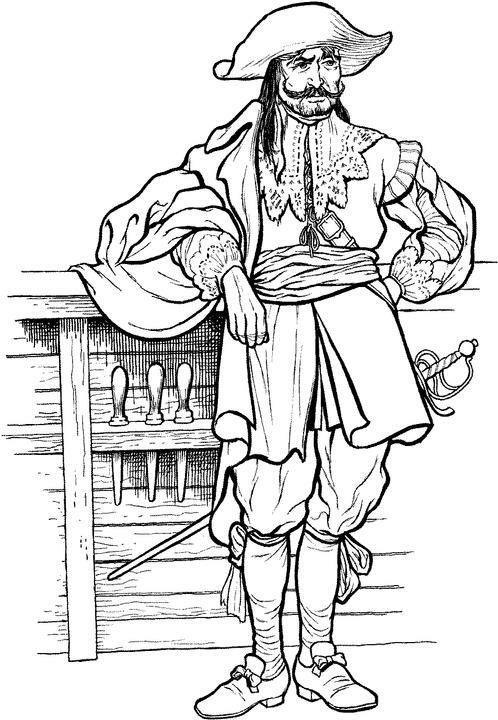 During the 17th and 18th centuries, the average pirate prowling the Caribbean was in his twenties. Few pirates plied their trade for more than ten years. The more famous, like Blackbeard and Captain Kidd, were pirates for no more than two or three years. Only a small number lived long enough to enjoy their ill-gotten wealth.